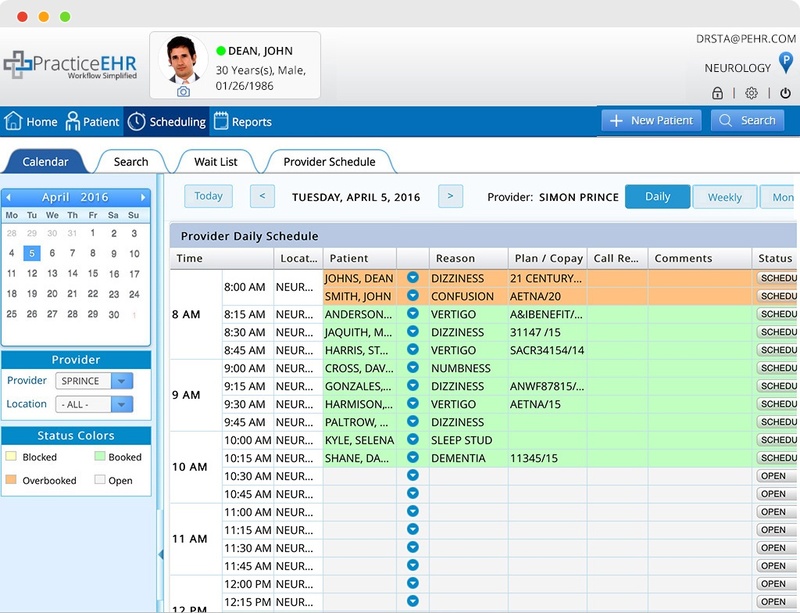 Practice EHR provides comprehensive and flexible scheduling capabilities to ensure smooth operation of the practice. It provides maximum flexibility by letting you create and view custom schedules for each provider and for each location. Each scheduling timeslot is color coded for quick indication of whether it is blocked, booked, overbooked or open. Patient can make new appointment request or change existing appointment from patient portal. Automated appointment reminder emails are sent to patients. You can also check real-time eligibility check right from the schedule.